road | Flights. Camera. Satisfaction. One of the many things that surprised me in Thailand was that they drive on the left. Being from the UK this is something alien to me – I think it’s the first country I’ve visited where they don’t drive on the opposite side of the road. I guess that most other people must have the complete reverse feeling when they come to the UK, or Thailand for that matter. You must think we’re crazy! Having said that, now I have been in Geneva for a few years I am more comfortable with and accustomed to drivers being on the right. So this whole trip was doubly confusing from that point of view. I was forever looking both ways multiple times every time I crossed the road, which is probably a good thing given the insane traffic in Bangkok! Have you visited Bangkok? How did you find the traffic? Maybe you tried your hand at driving there?! I’d love to hear from you! 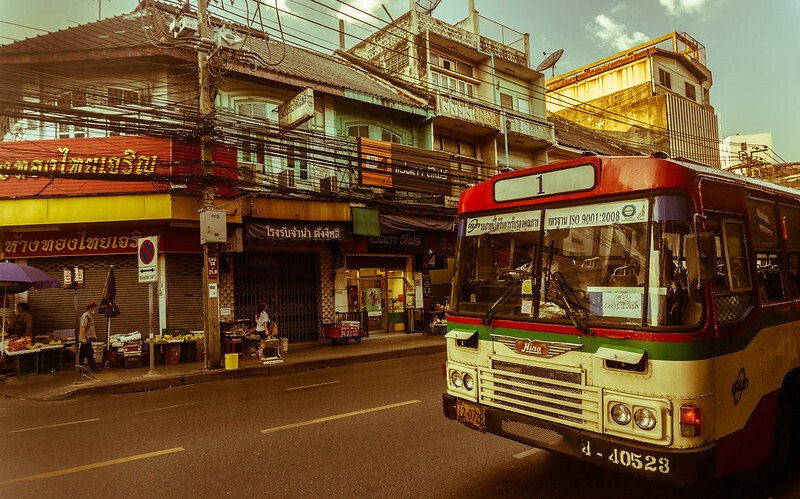 This entry was posted in Asia, Thailand and tagged Asia, Bangkok, bus, drive, Photography, road, Thailand on March 14, 2014 by Ben. On the journey home from my visit to the Cascade du Rouget I decided to take the backroads. Not only was it cheaper to avoid paying the motorway tolls in France, there were also some fantastic opportunities to pull over for shots like this. It was tricky to get this one right largely because the road was actually pretty busy with traffic, although it doesn’t look like it! Every time one side of the road was clear, something would appear in the opposite direction. I kept having to duck in and out, which meant I never really felt like I could focus 100% on capturing the best image. But I love shooting from the road so I persevered with it for about half an hour, waiting for the right opportunity. In the end it was well worth it! 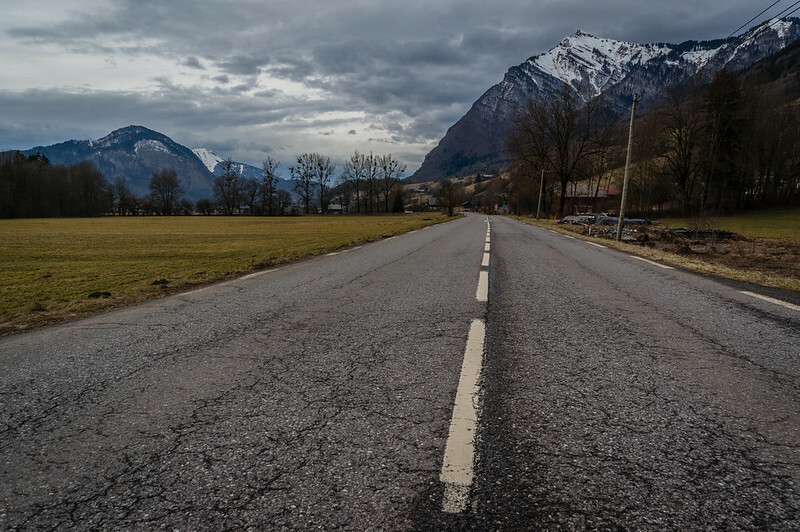 This entry was posted in Europe, France and tagged France, French Alps, journey, Landscape, mountains, Photography, rhones alpes, road on March 13, 2014 by Ben. You would be forgiven for thinking that driving nearly 200 miles on one fairly straight road might be quite boring. 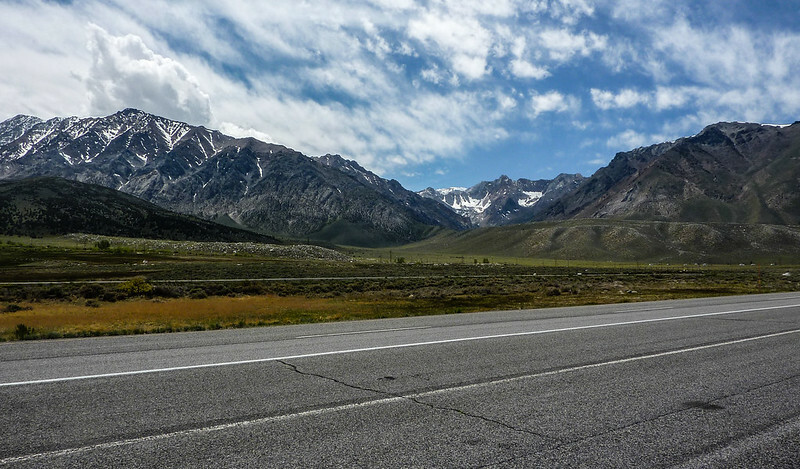 Route 395 could be described as anything but. Occupying a valley carved through the Sierra Nevada mountain range in California, there are stunning landscapes in every direction. It feels like you are always driving towards something spectacular. Setting off from Lone Pine at 8am, we spent the next 11 hours taking in the highlights of Route 395 on our journey to South Lake Tahoe. Given our tight schedule we didn’t venture too far from the road laid out before us. I’m sure we could have easily spent a few more days exploring the mountains either side of the valley. 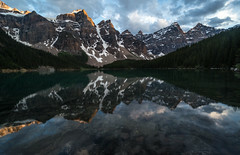 Considering the wealth of natural beauty around us, we barely scratched the surface! One thing that’s impossible to ignore whilst driving through this region of the US is the incredible diversity of the landscape. It’s hard to believe that this shot was taken less than 100 miles from the desolate plains of Death Valley. I’d love to know of any other locations where you can encounter the harsh reality of the desert, followed by the staggering beauty of snowy mountains no more than 2 hours apart. 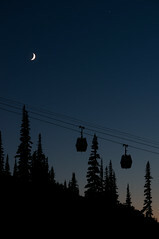 For anyone who enjoys landscape photography it really is a dream to explore. Have you driven Route 395? 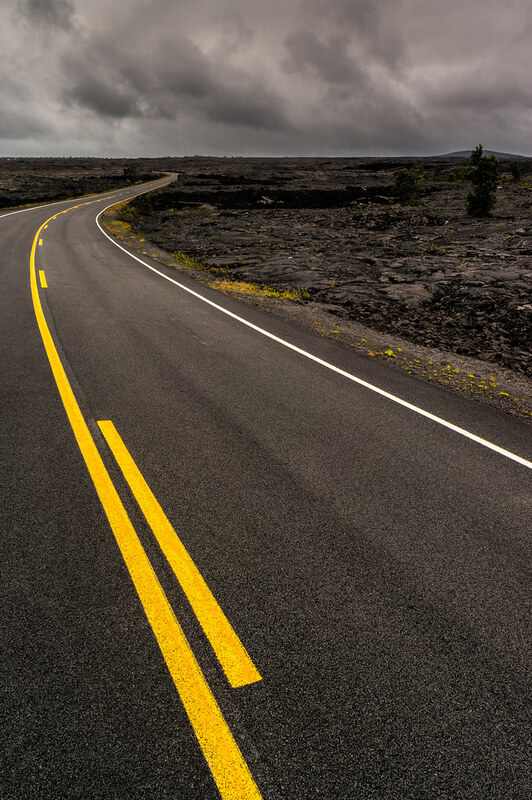 Do you know of any other roads that give you that feeling of moving towards something incredible? Or maybe you know of a long, straight road that’s so boring I should try my best to avoid it in the future?! Please get in touch! This entry was posted in California, North America, USA and tagged California, mountains, Photography, road, route 395, sierra nevada, usa on February 3, 2014 by Ben.